When she appeared last year in the YSL Beauté project, ‘Before the light’, which showcases up-and-coming music talents from around the world, modern beauty Zoe Kravitz used the power of great make-up to help prepare and reveal her personality on the stage. It was a flawless performance by all accounts, and clearly a taste of things to come. The singer, model, celebrity offspring and star of the HBO miniseries, Big Little Lies has just been announced as YSL Beauté’s newest Global Makeup Ambassador, and I can’t think of a better woman for the job! As a muse for YSL in the United States, Zoe has already been bringing us her effortless brand of cool makeup pics and on-the go style tips via social media, and she will reportedly be kick-starting her new international role with the first of several ground-breaking campaigns – Tatouage Couture – launching internationally in August 2017 (in NewZealand, 2018). She is a perfect match for YSL’s mix of ultra modern, edgy vibe and elegant heritage, and I predict that the end result will be groundbreaking for the beauty industry. In between modelling part-time and making music, the 28-year-old creative is one very busy bee. She is currently in the process of filming the Fantastic Beasts sequel, joined by the likes of Jude Law, Johnny Depp and Eddie Redmayne. Simultaneously, the Hollywood it-girl who’s currently rocking a bleach blonde pixie cut, is featured in Tiffany & Co’s latest ads. 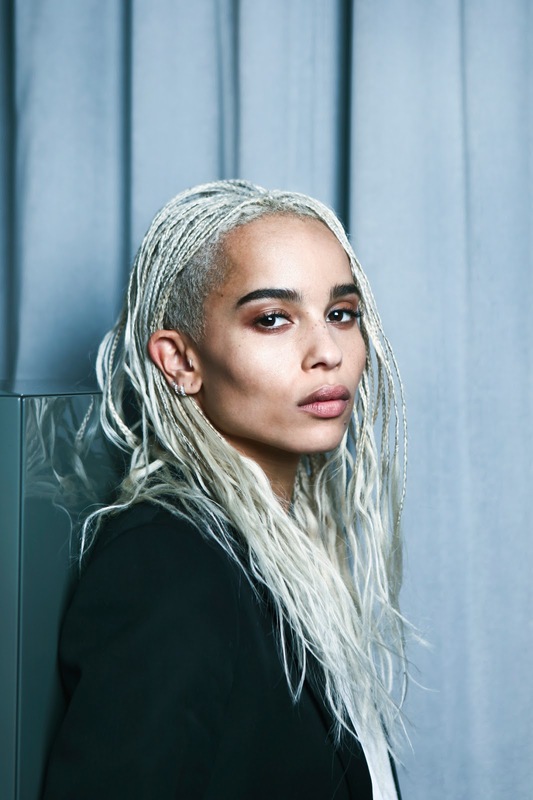 Other gigs on Kravitz’s modelling resume include a 2010 Alexander Wang campaign, two Vera Wang fragrances, plus two Calvin Klein ad campaigns (one of which she shot alongside her beautiful mother). YSL Beauté say they are proud to welcome the actor and recording artist to the family as new Global Makeup Ambassador, in one heck of a coup.